Who is Paul Wilkins Electricien? Paul Wilkins started out as an Alarm Engineer working for a number of alarm companies, in the UK, as an installer and test engineer. Realising that there was a lot of electrical knowledge within the alarm industry Paul trained as a 17th Edition electrician in the UK, passing many exams including the BS7671 that enabled him to set up as a self employed qualified electrician. 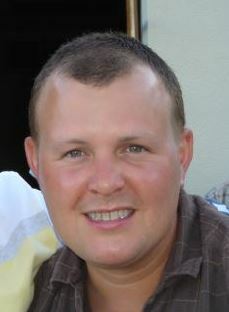 For 6 years Paul had his own business working on both domestic and commercial properties across Sussex. Since moving to France, those qualifications have translated into Artisan status and Paul is registered with the Chambre de Metier. Siret number is 75333878900021. Feel free to click to check his details as the siret number tells the customer exactly what he is registered to do. It is advisable that you check the siret numbers of trades people that you are wishing to use and make sure they have appropriate insurance. Paul is obliged to have décennale insurance and also obliged to show these details on the devis that are sent to clients. The testimonial page supports the quality of his work, trust and professionalism. Paul's number one priority is making sure all electrical work is carried out with your safety in mind. Safety is the bedrock of the business and customers need to feel that from the minute they call, through to completion of the work, safety and professionalism and trust are delivered. From checking the siret number to reading what décennale means for you and reading some of our testimonials, those visiting the website for the first time are able to get a clear picture of Paul's professional and trusting ability to make sure your home is electrically safe. All work is fully guaranteed by décennale insurance. Paul is bit of a sporty chap, likes football darts and tennis and on the quiet is a bit clever when it comes to musical instruments... loves the drums, the guitar and the piano... oh and let's not forget the trumpet!! 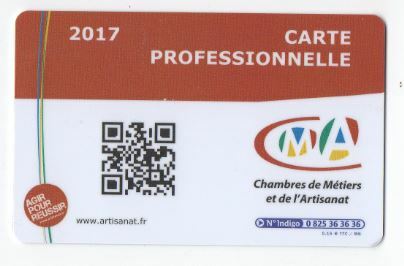 As my business is registered with the Chambres de Métiers et de l'Artisanat. I am required to carry my Carte Professionnelle and present this when asked. This card shows all the work that I am qualified to carry out.